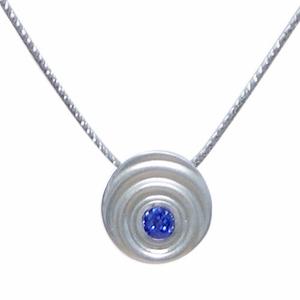 A brilliant Blue Chatham Sapphire is handset into a flowing disk of Silver. A narrow opening in the softly rounded back of the pendant lets a little extra light add to its glow. A sterling silver snake chain completes the necklace.